A selection of Different Hatches/Doors. 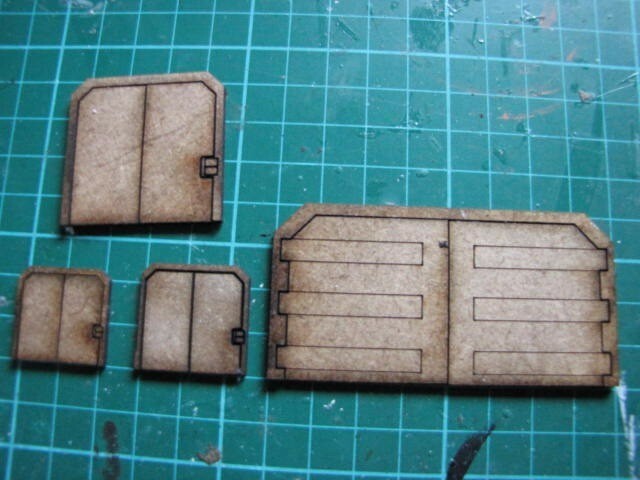 PACK01 - Personnal Split Doors - Size: 24Wx22Hmm, Doors are: 20x20mm, Are supplied in packs of 40. 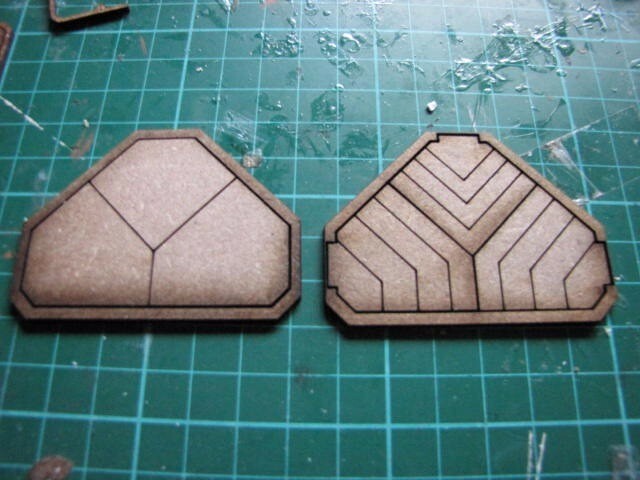 There are two versions in pack one with door controls on Left & other on the Right, 20 of each. 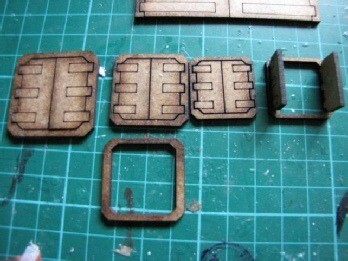 PACK02 - Vehicle Split Doors - Size 8Wx4cmH, Door Area is 7.2x3.7cm, Pack of 9. Note are the design is the one on the far right in picture..
Slightly odd looking Doors, the hatch is in 3 pieces. Slightly odd looking Doors, the hatch is in 1 pieces.